Are you ready to win some money with EZ Horse Betting at your favorite online racebook? Picking a winning horse is challenging, but we’ve got a few tips that you can use to improve your chances. 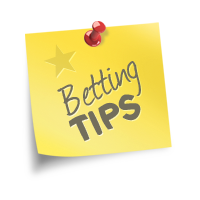 Here are eight of the best horse racing tips that you can use right away. We’ve said this before but it is worth saying again. Betting favorites at the race track will not make you a winner. Favorites in horse racing win one out of every three races. This statistic has been true since the earliest days of horse racing. Don’t think that you can identify that one favorite out of every three that will win. It’s impossible to do that consistently. Another problem with betting favorites is that they don’t pay enough money to justify the risk. The average favorite returns less than even money at best. This means that you’ll get back about $3.60 on a $2.00 bet when you play a favorite at odds of 1-1. Remember, the track subtracts takeout from each pool. Instead of getting your 1-1 payout of $2.00 in profit, you’ll only get back $1.60 after the track takes their $0.40. Betting favorites is a quick way to wreck your bankroll. A straight bet is a bet on a single horse to win, place, or show. Many handicappers only play straight bets, and they do very well. The reason for this is that they do not settle for low-priced horses. They wait for a horse that is under bet by the public. An underlay happens when a horse does not receive the betting action that it truly merits. Let’s say that you have handicapped a race and found a horse that you like. You believe that this horse should be a favorite and have odds of 1-1. But on the tote board the horse is at odds of 3-1. The horse is an underlay and deserves your bet. You can greatly increase your chance to make a profit when you only bet horses at 3-1 or above. Those odds only require you to be right about one out of every three tries to break even. The show bet is one of the most enticing for new race bettors. On the surface it seems like an easy bet to win. The horse you choose only has to finish third or better for you to collect your winnings. Surely a favorite in a race can at least run third, right? Actually, not as often as you think. If a favorite fails to win the race, it often finishes “off the board” or worse than fourth. The reason for this is simple. Favorites are determined by the betting public. The betting public is made up of other handicappers just like you. They are merely using the information they have to make an educated guess. Many times they get it wrong. When a horse does win a show bet, the payout is terrible. You might win as little as $0.10 on a $2.00 bet. You don’t have to be a professional gambler to know that’s a bad deal. You want to risk a little to win a lot, not the other way around. Show bets are for suckers and you should stay away from them. After you have studied the past performances for a race you may be tempted to log into your online racebook account and make a bet as soon as the race day begins. After all, you’ve done your homework and you trust your conclusions. Eagerness is almost always a mistake. You should place your bet as close to post time as you possibly can. Post time is when the horses actually break from the starting gate. In the 2000’s, a group of Chinese horse racing bettors became so good at waiting until the last minute to place their bets that they were accused of past posting. Past posting is betting after the race has begun. The online racebook which took their bets investigated and discovered that the Chinese bettors had actually confirmed their bet less than one second before the race began. The main advantage of betting late is that you are able to observe any tote board action that is suspicious. For example, a horse that has been lingering at 8-1 odds suddenly drops to 4-1 one minute before post time. This is what is called late money. Late money often comes from trainers, grooms, and other racing insiders that have privileged information. They resist dropping their money early to prevent other tote board players from making bets on the horse and lowering its odds. Another advantage of betting late is that you also do not tip your hand if you are making a very large bet. If you like a horse that is 15-1, betting a large amount of money on that horse can drop its odds. Those who bet by looking at the tote board may notice this and begin betting on your horse, dropping its odds even further. Having an opinion is something that handicappers pride themselves on. Right or wrong, they have the satisfaction of knowing that they made their own decision. When you have decided to make a bet on a certain horse, don’t let others talk you off making the bet. Many handicappers have let naysayers talk them off of a big winner. Everyone at the race track thinks they know it all. It is rare to find someone who agrees with your opinion. Some people take it a step farther than that. They feel a need to convince others that they are right, because being right makes them smarter. Stick to your guns and bet on the horse you have chosen. If you don’t have an opinion, don’t bet. There is no rule that says you must make a bet on every race. You can bet on one race, all the races, or none of them. Not having an opinion means that you have not been able to identify the winner of a race. If you can’t do that, you shouldn’t bet. The age of online horse racing has changed the way handicappers play the game. Before, the bettor could only make bets at their local track where the daily races might present few opportunities. Online racebooks give you access to almost every track in the world, every day. If there is not a good race to bet right now, just wait a few hours. When you bet without an opinion, you are just guessing. You’re gambling. Gambling will not make you money at horse racing. There are too many variables against you already. You must have a solid opinion. Some online racebooks will even give you a rebate on your losing wagers. Most of them give new players a welcome bonus. Finally, an online racebook will give you free past performances to help your handicapping. The big horse races like the Kentucky Derby and Breeders’ Cup events are what get all the attention in horse racing. You can certainly bet those events, but don’t forget about the small daily events at tracks all over the country. Some race bettors have made a good living playing only the claiming races on a smaller circuit. The best thing is that the payouts can be just as good. 4-1 odds on a claiming horse at a small track yields exactly the same return as 4-1 odds on a Preakness Stakes horse. 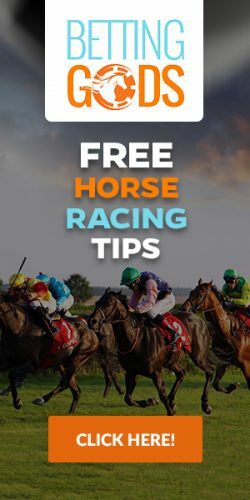 What Is The Best Online Horse Betting Site? How Much Does a Jockey Earn per Race?